We, AOS Products Pvt. Ltd. have carved a niche in the industry as a reputed manufacturer and exporter of essential oils and allied products in the industry. We made ourselves a renowned manufacturer, trader, supplier and exporter of Almond Massage Oil, Herbal Hair Oil, Sesame Seed Oil, Natural Attars, Rose Water, Floral Wax, Perfumery Fragrances, etc. Natural aroma products pvt. 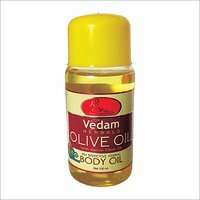 Ltd. Is an eminent delhi (india) based company of natural ingredients, essential oils, spice oils and aroma chemicals. Send Inquiry Peppermint OilPraveen Aroma Pvt. Ltd. Looking for Essential Oils & Aromatics ? In order to meet up with the different needs of our esteemed clients, we are engaged in manufacturing and supplying a very qualitative range of Moringa Powder Across the India. The offered powder provides nutrients to the body, while helping it to detoxify and get rid of unwanted elements. Evening Primrose Oil We are leading supplier of Evening Primrose Oil. We are dealing these products in huge array as per client need. These are according to the ...We are leading supplier of Evening Primrose Oil. We are dealing these products in huge array as per client need. These are according to the specification of client. Kindly contact us for more details.